Southern Utah University’s Online Masters of Accountancy (MAcc) program has been ranked top in the nation. This ranking was created by College Choice on their list of Best Online Masters’ Degrees in Accounting for 2017. College Choice developed the ranking by looking at a combination of institutional excellence and return on investment for graduates, a weight of tuition against the early expected career income for students who finish the program. All schools listed have regional accreditation as well as additional accreditation from one of the three main business accrediting bodies: the Association to Advance Collegiate Schools of Business (AACSB), the Accreditation Council for Business Schools and Programs (ACBSP), or the International Accreditation Council for Business Education (IACBE). 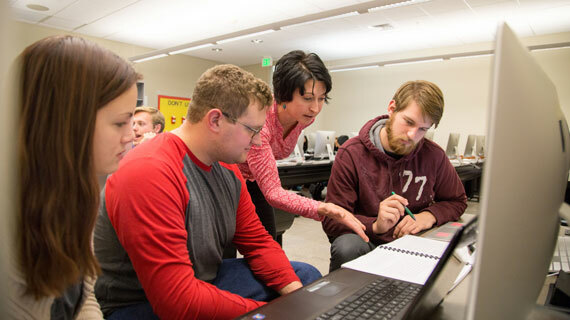 SUU’s School of Business has offered the MAcc program for over eighteen years. The AACSB accredited program was established to satisfy Utah’s requirement of 150 hours to take the Certified Public Accounting exam. The graduate program provides greater breadth and depth to further develop the knowledge and skills to enter professional accountancy. With nearly a 100% placement rate, most MAcc graduates are employed by accounting firms or government agencies in Utah, Nevada, and California. Typical jobs include positions in taxation, auditing, and controllership. To learn more about SUU’s online Master of Accountancy program please visit the Graduate Studies website.